Started at Cavendish Pavillion, Bolton Abbey 8-45am, walked through "The valley of Desolation" up to the top of Simon's Seat (1,580ft), then down through Appletreewick by road to Burnsall. One pint in the Red Lion and then back to the Craven Arms in Appletreewick. Afterwards followed the River Wharfe back to Bolton Abbey via the Strid. River very fast flowing. Weather: Very cold and icy underfoot. Some snow at the top of Simon's Seat. A short period of light rain in the morning and improved in the afternoon. Started at Marske bridge, constantly climbing past many old lead mine workings to 1550ft, dropping down to follow the river to Reeth. 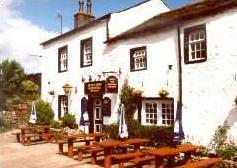 Crossed the suspension bridge to walk the short distance to the Bridge Inn at Grinton for lunchstop at 11.6 mile point. Four pints of Jennings Cumberland Ale went down very well, before walking the 4½ miles, passing near Marrick, back to the start at Marske. Weather: Dry all day, but very wet underfoot. Finished walk just before the rain set in. Started at Healaugh, up hill via the "All Creatures Great and Small" ford following the wrong Gill to Reeth High Moor. 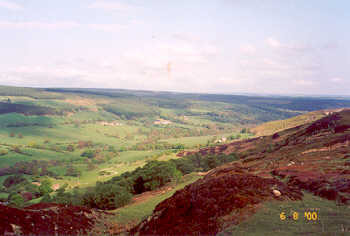 Then heading south over Healaugh Side to drop down to "The Old Gang Lead Mine" workings. Dropping down to Gunnerside for a lunch stop and then parallel to Swaledale back to Healaugh. Weather: Dry and pleasant all day. Left Pickering at 08-40. Arrived Birch Hall Inn at 14:00. Just caught the 16:50 from Grosmont back to Pickering. Ron left at 14-45 to get an earlier train back from Goathland, due to a murder mystery dinner appointment. Weather: Fine and sunny in the morning and slightly cloudy during the afternoon, but a fine day for walking. 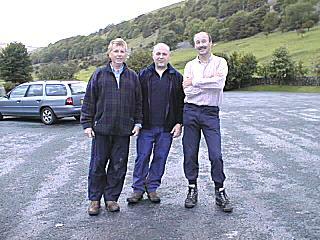 Walkers: Ron, Neil, Alan E and Cliff who was staying at his caravan nearby. Distance: 16.5 miles with 3,283ft of climbing!!! 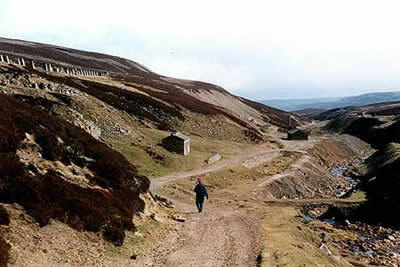 Circular route from Gollinglith Foot to with a lunch stop at "The Crown Hotel" in Lofthouse. Left Gollinglith Foot, by the telephone box, at 08-40 after hot Bacon Butties, courtesy of Ron. A long climb up the Coal Road through Colsterdale, with a rest out of the rain at the Shooting Lodge. Continuing up to the dale end and on to Masham Moor, eventually reaching 1600 ft asl. 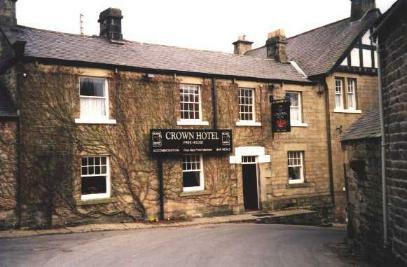 Dropped down to join the Nidderdale Way into Lofthouse for a few pints with Clive at the Crown Hotel. Afterwards a very long and steep climb out of Lofthouse on the road, with a steep diversion through Grimes Gill back to the cars. Weather: Heavy showers and very windy all day, but got better during the afternoon. Distance: 16.1miles with 1,976ft of climbing. Started at the car park in Hutton-le-Hole at 8-30am, heading into Farndale through Low Mill and onto Church Houses, where we stopped for an early drink at the Faversham Arms. Climbed steeply out of Farndale to drop down into Rosedale, stopping for lunch at Rosedale Abbey. A further steep climb to Rosedale Chimney, followed by some "Heather Bashing" across the moors to Lastingham and back to Hutton-le-Hole. Weather: Fine, sunny and hot all day, with only a little breeze. A fine walking day. Walkers: Ron, Neil, Alan E and Colin. Distance: 18 miles with 2,976ft of climbing. Left Buckden car park at 8-30am in steady rain, heading uphill along Buckden Rake, dropping down to Cray and then past Hubberholme to Yockenthwaite, where we started the long climb up Horse Head Moor (1972ft), dropping down to Halton Gill and arriving at the Queens Arms in Litton in the sunshine. Enjoyed four pints of Littondale Ale (brewed at the pub) initially sitting outside in the sunshine. After finding that we were unable to cross the ford, we followed the road back towards Arncliffe, turning left to make the steep climb back over the dale head. Long stony decent down into Starbotton (Ron only slipped twice), where we followed the river Wharfe back to the cars at Buckden. Weather: Steady rain all morning and very windy on the tops, but a pleasant sunny afternoon. NEWTONDALE TRAIL (Wartime Weekend) - Saturday 16th October. Left Pickering at 08-30. Arrived Birch Hall Inn around 14:00, but it closed shortly after 15:00. Arrived early at Grosmont to catch the 16:50, but caught the earlier train back to Pickering, which was running 30 minutes late.. Weather: Dry and quite pleasant in the morning, but very wet underfoot. Clouded over in the afternoon and raining for the last stretch from Beck Hole back to Grosmont. Walkers: Ron, son Andrew with Ella the dog, Colin, Neil, Alan E and Cliff who was staying at his caravan nearby. Parked in the centre of Gunnerside and headed northwards up Gunnerside Gill, past many old lead mine workings, abandoned buildings and mine shafts. Steep climb out of Gunnerside Gill to almost 2000ft, dropping to cross the River Swale. Joined the Pennine way to follow the Swale, from high on the daleside, with superb views along the dale. Dropped down into Muker for a few well earned pints of Black Sheep in the Farmers Arms, where we sat outside in the bright, but not too powerful sun. Crossed the river after leaving to follow the Swaledale back to Gunnerside. Weather: Cold, but dry with sunshine most of the day. Warm enough to sit outside at the pub in the sun. 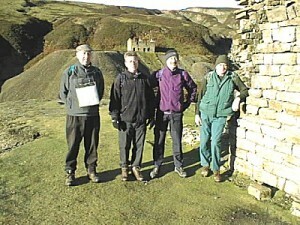 Walkers: Cliff (leader), Ron, Neil, Alan E and Alan J. 13 Mile loop from Aberford, via "The Greyhound" at Saxton, "The Ash Tree" at Barkston Ash (Lunch Stop), the "Crooked Billet (CLOSED". Weather: Damp and muddy underfoot. Walkers: Ron, Alan E, Colin, Neil, Sean, John the Train, Alan J and sons with friend.